The Central Wisconsin Symphony Orchestra and Smith Scarabocchio Art Museum have announced the return of Scarabocchio Jazz Listening Sessions for the fall season. 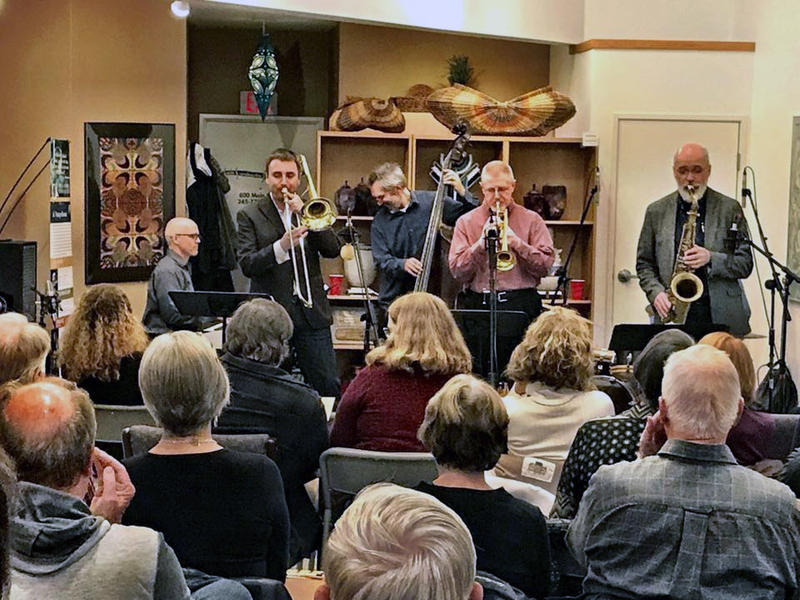 Each of the three sessions features local professional musicians performing standards, newly-composed, and improvised jazz music in an intimate setting. The live performances will take place at the Smith Scarabocchio Art Museum, 800 Main St. The first session will feature a duo called Natural Satellite, a husband-and-wife duo based out of the Fox Valley. The couple met back in 2013 while earning music degrees from the University of Wisconsin- Stevens Point. Jason Reisdorf is a talented jazz saxophonist who plays in a number of different genres and groups throughout Wisconsin; Karli Reisdorf is a cellist who experiments with different sounds, textures, and unconventional techniques on her instrument. Together, the duo covers and composes original music featuring vocals, cello, saxophone, and occasionally, flute. The session will be held on Thursday, Nov. 1 at 7:30 p.m. The Meade Street Collective will perform on Wednesday, Nov. 14, from 7-8:30 p.m. The group consists of Katie Del Giacco on saxophone, Malakai Flynn on guitar, bassist Austin Bolden, and drummer Adam Hatton. On Wednesday, Dec. 12, the Sara Rifleman Trip will play from 7-8:30 p.m. Dummer Matt Rhyner and bassist Cully Swanson will join Sara Rifleman on the piano. For the full schedule see the Facebook pages of the CWSO and Smith Scarabocchio Art Museum.